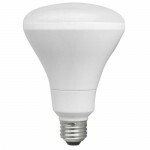 TCP MR16 LED Bulb, Bi-Pin, 7W (50W Equiv.) - Dimmable - 4100K - 550 Lm. 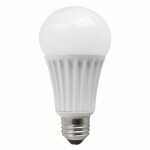 TCP A19 LED Bulb, E26, 10W (60W Equiv.) - Dimmable - 4100K - 850 Lm. 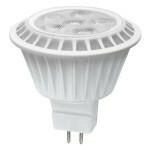 TCP BR30 LED Bulb, E26 10W (65W Equiv.) 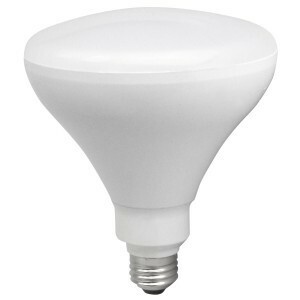 82 CRI - Dimmable - 2700K - 650 Lm. 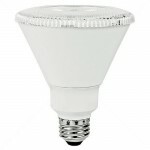 TCP MR16 LED Bulb, Bi-Pin, 7W (50W Equiv.) - Dimmable - 2700K - 500 Lm. 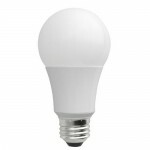 TCP A21 LED Bulb, E26, 16W (100W Equiv.) - Dimmable - 4100K - 1650 Lm. 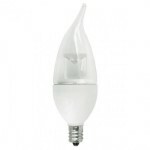 TCP Candelabra LED Bulb, Flame Tip , 5W (40W Equiv.) - Dimmable - 2700K - 300 Lm. 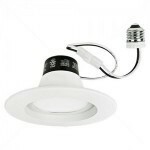 TCP PAR30 LED Bulb, Long Neck E26, 14W (90W Equiv.) - Dimmable - 2700K - 1050 Lm. A leader in energy efficient lighting solutions, TCP lighting offers LED and CFL lamps and fixtures for a wide-range of applications. The TCP brand is known for having the largest combined number of LED and CFL ENERGY STAR compliant lighting products. ENERGY STAR is a voluntary program monitored by the US Environmental Protection Agency that sets high standards for energy efficiency and performance. Westside Wholesale is happy to be an authorized retailer of TCP lighting products. 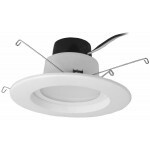 Here at Westside Wholesale, we offer various types of TCP LED lighting. Our selection of TCP LED light bulbs can be sorted by color temperature, bulb base, lumen output, and bulb type. Knowing the bulb type and base helps our customers find the proper replacement for their incandescent or LED lights in their homes or offices. Plus, finding the right color temperature (warm white, bright white, etc.) and lumen output can completely transform a room. After all, replacing standard incandescent lights with LED lighting is a simple and effective way to increase energy efficiency and performance in your home. On average, they require only about 10 to 20 percent of the energy required for incandescent bulbs with the same brightness. Plus, they're quiet, longer lasting, and safer, as they don't get as warm as other bulbs. Switching to LED bulbs is easy; simply match up the features with the old bulb to find the right replacement. In fact, most LED bulbs come labeled with an incandescent equivalent wattage, making it even easier to figure out the right replacement bulb. Our collection of TCP lighting products also includes LED downlights, which are intended to replace incandescent downlights. They fit in most already installed recessed housings, making installation a breeze. If you have any questions about TCP light bulbs or downlights, feel free to contact a member of the Westside Wholesale team.